Most of us would know that we need to get engaged or married before we can get a HDB flat. For all the singles out there, the only way seems to be staying with your parents all your life. However, there are some of us who would want to be independent and live on our own even if we're not married. Getting a private property would not be a problem for Singles but it seems too expensive for most average income earners out there. Are there schemes available for Singles to buy subsidized HDB flats in Singapore? According to the department of statistics, there were 147,300 singles from the age of 30-39 in Singapore, up from 122,700 in 2004. This post was created as I receive a comment asking how to buy a HDB flat as a single from one of the readers in my previous post on "How much money does a couple need to earn in order to afford a $300,000 HDB flat?". Yes there are schemes for Singles to buy HDB flats with grants too if you're eligible. Let's take a look at some of the schemes out there for Singles. Age 35 years or 21 years and above? Under the Single Singapore Citizen Scheme, you must be 35 years old or older to buy a HDB flat from the open market. This applies to unmarried or divorcee persons. Special conditions are given to the widowed and orphans where they can buy a HDB flat once they reach 21 years old and above. For orphans, the condition given is at least one of your deceased parents must be Singapore citizen or Singapore permanent resident and you must not have another sibling below age 35 buying/owning another flat under the Orphans scheme, Single Singapore citizen scheme and Joint Single scheme. In July 2013, the SSC scheme was enhanced to allow singles to buy a 2-room flat in a non-mature estate directly from HDB. This is called the BTO scheme as what we see our married or soon to be married friends balloting for. 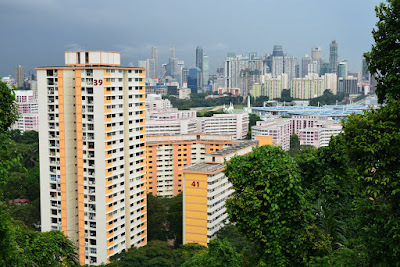 There is no income ceiling for Singles who purchase from the open/resale market unless they are applying for a a CPF Housing Grant or a HDB Loan. Those who take bank loans will not be affected by the restriction. For the 2 room BTO, there is an income ceiling of $5000. If you earn more than that, you cannot be allowed to get a BTO flat at all as a Single. To get any grants from HDB, your income must not exceed $3250. You can get up to $30,000 grant if you earn up to $750 per month and $2500 grant if you earn more than $3000 and less than $3250. For more information on the various grants available for Singles, you can refer to HDB website here. Take note that your HDB flat must have remaining lease of more than 30 years to be eligible for any grants too. If you feel bored to live alone and have a best friend who's also Single like you, you can apply for an HDB flat under the Joint Singles Scheme with both of you as owners of the property. The eligibility criteria is the same as the Singles Singapore citizen scheme. You can get up to 2 sets of Singles grant under the JSS. Your combined income must not be more than $5000 in order to get the various grants available. As a Single, you can also buy a HDB resale flat from the open market under the Public Scheme. This is done through forming a family nucleus. You and a family member must be at least 21 years old. This is available to Singapore citizens and Singapore permanent residents. However, do note that from 27 August 2013, SPR household (i.e. a household with no SC owner) will have to wait 3 years from the date of obtaining SPR status before they can buy a resale flat. For more information on the public scheme, refer to HDB site here. Similar to the SSC, there is no income ceiling unless you are applying for a CPF Housing Grant or an HDB Loan. Those who take bank loans will not be affected by the restriction. To get grants under the Public Scheme, your combined income must not exceed $10,000 a month and $15,000 if you are applying with your extended family. You can get up to $40,000 grant under the Public Scheme. For more information on the grants for Family, you can refer to HDB website here. *Thinking of applying for a new housing loan or refinance your existing loans? Click here for more information on the complimentary service I provide. Compare and apply your home loans with ease. 1. How Much Loan Can You Get For Your HDB flat? Travelling.... one of the favourite past time of people who live in Singapore. Our country is so small that we could get from one end to the other in less than 2 hours by public transport. Most of us who've been living here for the past 20 over years like me would have been bored by this small city. 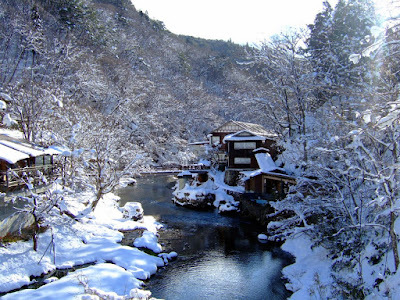 Another reason for travelling is that we could sort of live like a king in another country. Women like to travel to neighbouring countries for shopping sprees and get their wishlist items at less than half the price. The Singapore dollar is still strong while our neighbouring countries' currencies are weakening. This makes it even more attractive to travel. Let's take a look at some countries which is worthy of travelling now where currencies are dropping. 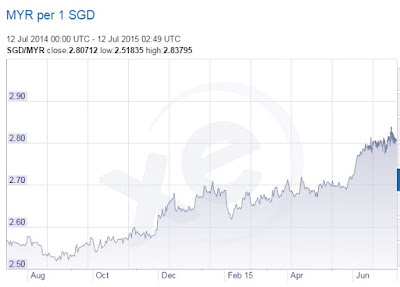 Most of us would probably already know that the Malaysian Ringgit has dropped significantly over the past few months. 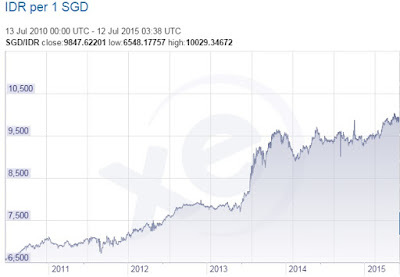 Singaporeans have been changing their SGD to Ringgit ever since when it was $1 SGD to $2.60 MYR. Now, $1 SGD is at $2.80 MYR. Who cares when a plate of chicken rice cost $5 MYR there? It is less than $2 for us when we convert it to SGD. Not too cheap for those working and living in Malaysia but certainly affordable for us working and living in Singapore. 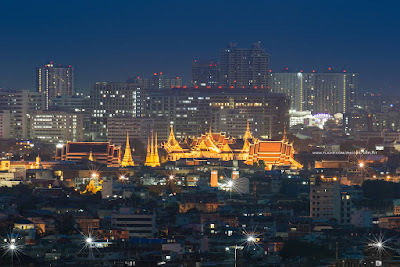 Thailand is a shopping heaven for many ladies and also men out there. The clothes are really cheap there with low cost accommodation too. Good news for those travelling to Thailand soon, the Thai Bhat has actually weakened again as compared to a few months ago. $1 SGD is at $25.11 THB now. It was also reported by the Bangkok post last week that the Thai Bhat sinks to a 6 year low against the US dollar. You can get clothes from as low as 100 to 300 Bhat in Thailand. 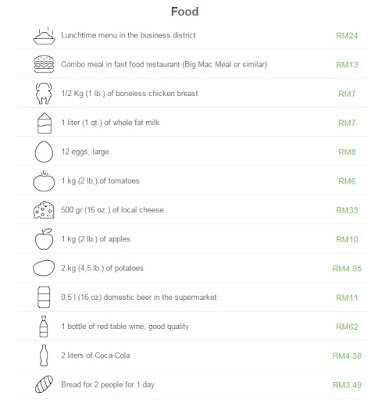 That is just $4 to $11 when we covert it back to SGD. Definitely much cheaper than shopping in Singapore. No wonder people always come back with a few luggages of shopping loots from Thailand. 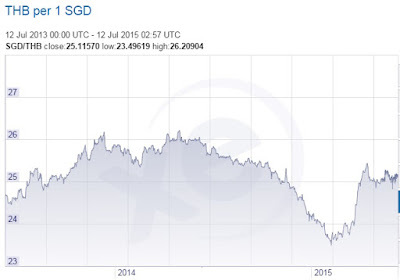 You probably didn't know that the Australian Dollar has been secretly going down against the SGD for the past one year. Just a few days ago, one of my colleagues told me that when he went Australia 20 years ago, the rate was $1.60 SGD to $1 AUD. How about now? 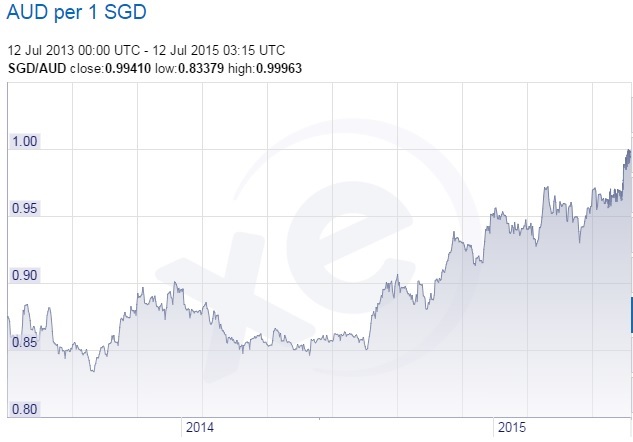 SGD and AUD is actually quite close to $1 vs $1 now. 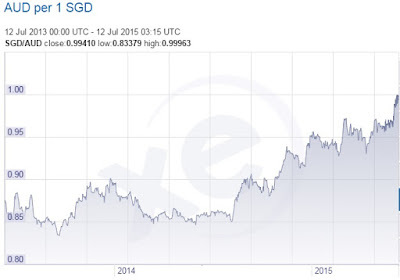 It is at $1 SGD to $0.994 AUD. It is probably a good time to plan a trip to Australia this year when the currency is still weak. The closest Indonesia islands to Singapore are Batam and Bintan where we can just take a 45 Mins ferry ride from Singapore to Batam. 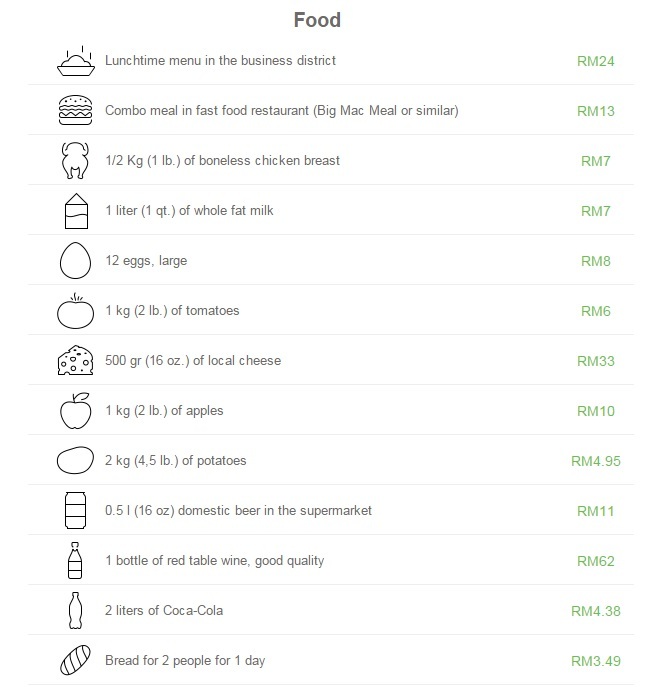 I took a walk at the supermarket in Batam before and the groceries are really cheap there. Many Singaporeans do buy some groceries from Batam and bring it over to Singapore when they travel there. The Rupiah has been dropping against the SGD for quite some time now. It is in fact at a 10 year low. 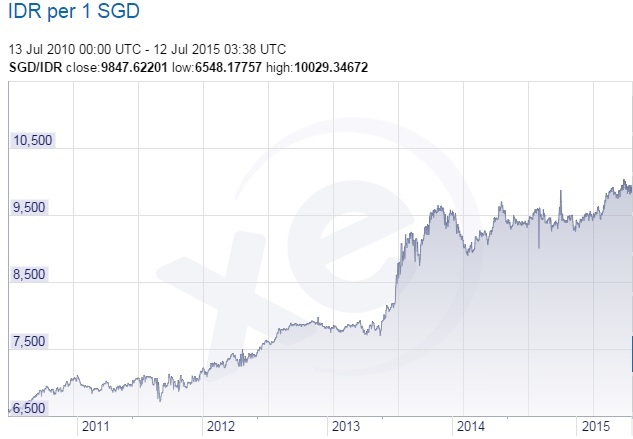 It is $1 SGD to about $9800 IDR now. 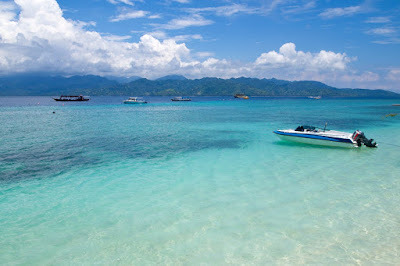 Besides Batam and Bintan, we can also travel to other parts of Indonesia such as Jakarta or even the popular Bali beach area. 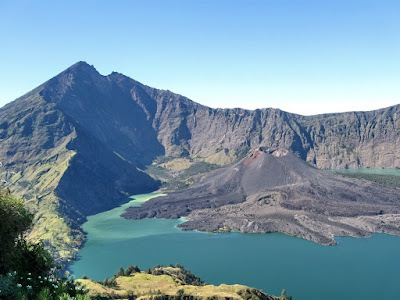 Bali is certainly more pricey now as it becomes a popular tourist destination. Why not try travelling to Lombok which is a cheaper version of Bali? 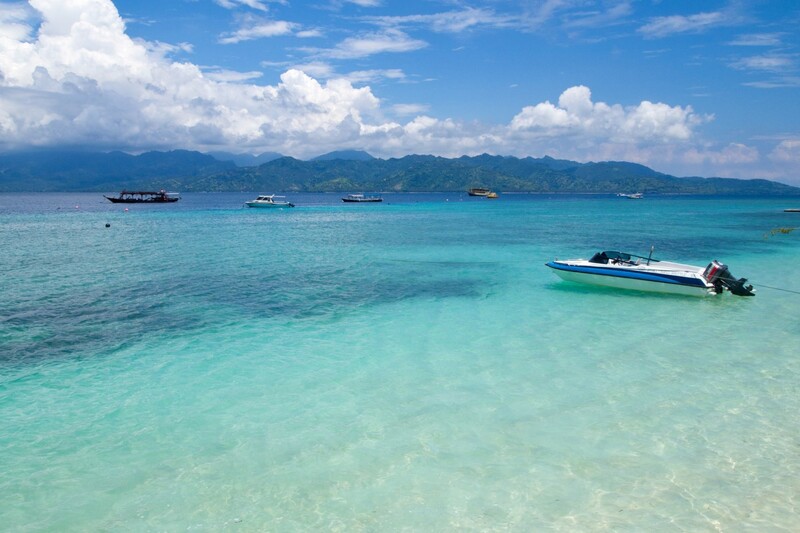 Lombok is an island east of Bali with virtually untouched beaches There are 3 paradise islands called the Gili islands which we can scuba dive or snorkel around the area. Besides Batam, Bali and Lombok, another place to visit is Jakarta. It is the capital of Indonesia but trust me, the things there are still quite cheap. You can read more about my travel to Jakarta in December 2014 here. Satay cost just 20 cents a stick and a restaurant meal at just $50 for 10 dishes in Jakarta. 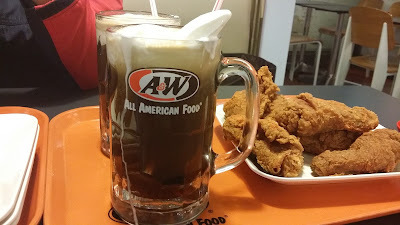 Best thing about Indonesia is we can find the A&W which went missing in Singapore. Lastly, let's not forget Japan, the land of the rising sun. The JPY has weaken significantly over the past 5-10 years. 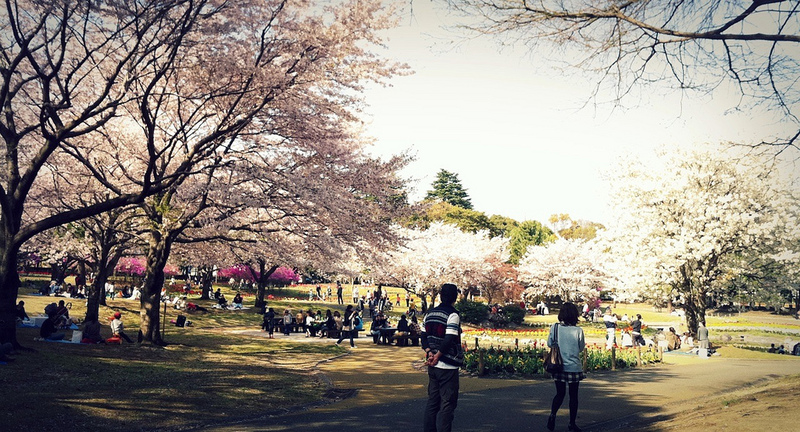 Travelling to Japan is definitely not as expensive as before now. 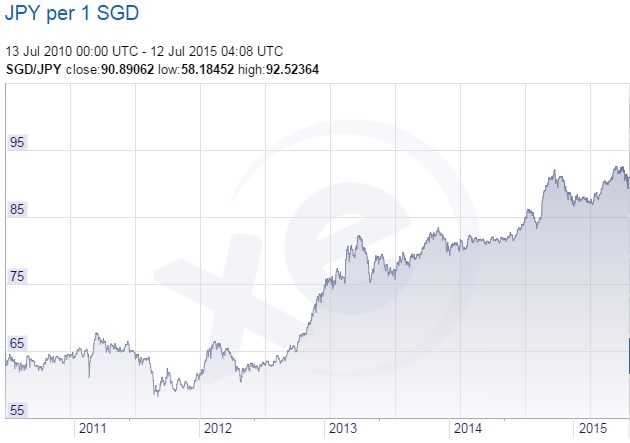 $1 SGD is at $90.89 JPY now whereas 3 years ago it is at $65 JPY. 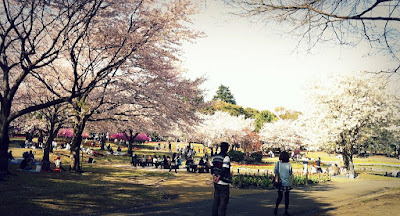 It time to plan for a year end winter trip or perhaps a next year March-April trip to see the cherry blossoms in Japan? There you go, 5 countries to consider for your travelling now where their currencies are dropping. Its time to live like a king again in some of the countries or perhaps take a breather out of the small city we live in. The question now would be, how do we pick the right dividend stocks for successful dividend investing? Let's take a look at some criterias for dividend investing in part 2 of this series. But before we get right into it, let me show you the pitfalls to avoid using the story of this once hot stock listed on the Singapore exchange. As with all investments, if we do it the wrong way, we would lose money. This is the same for dividend investing. Not only do we get lesser dividend if we pick the wrong stocks, some stocks will also cut out dividends totally. One example of such a company which performed poorly over the years is Creative Technologies. You may remember the sound blaster sound card which used to be popular for PCs and the many breakthrough sound technologies which they have. However, in the end, Creative did not manage to keep up with the competition and the technology changes and fell behind over the years. Creative Technologies share price was once at a high of $59.50 in year 2000. The share price now is only $1.37 cents. This is a scary drop and those who bought it at a high would have got their fingers burnt badly. As for dividends, Creative paid a stunning 50 cents dividend in 1998 which consist of a special dividend of 25 cents. In 1999, dividends paid was 25 cents. That was probably about 10% yield when its share price was about $20 before year 2000. What about the dividends now? Creative, although has a net loss reported year after year, still pays dividend to its share holders. Dividends paid is only 4 cents in 2014. That is a stark difference from the 25 cents and 50 cents dividends paid last time. When choosing stocks to invest, we should not just look at dividend yield. Even with a 10% dividend yield, dividends could drop and we could lose money. Each of us have our own different ways of choosing stocks. We also have our own different strategies for building our investment portfolio. Some may invest more into growth stocks, some practice value investing while others go into dividend investing. No matter what, there are always some basic criteria or check list which we can look at. 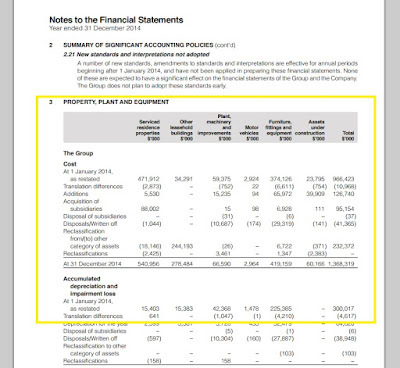 We always need to ask ourselves why is the firm suitable for investing? Are profits still coming in and if so is there a threat that competitors can steal away its customers? When we invest in stocks, we have to think like a business owner. Investing in stocks is owning a part of a company. When we have this mindset, we would want to invest in a company that can probably survive as long as possible. It is not easy to find stocks with competitive advantage. Some industries such as utilities and energy have greater competitive advantage as compared to industries such as F&B. Technology companies such as Creative could not create a strong enough competitive advantage to keep competition out. Once another company which has another breakthrough technology comes, Creative losses a big portion of its business and its profits slumped. A business with strong competitive advantage can stay ahead of times and keep competition away. It is like the game of monopoly where the purpose is to dominate the entire market by buying as many properties as possible so your chances of getting money from other players is higher. If businesses can monopolise their market and keep competition out, then they have a greater competitive advantage. No matter how good a business is, we should not overpay for it. Everyone loves discounts. If we can buy a great company at a discount, it is a good deal. 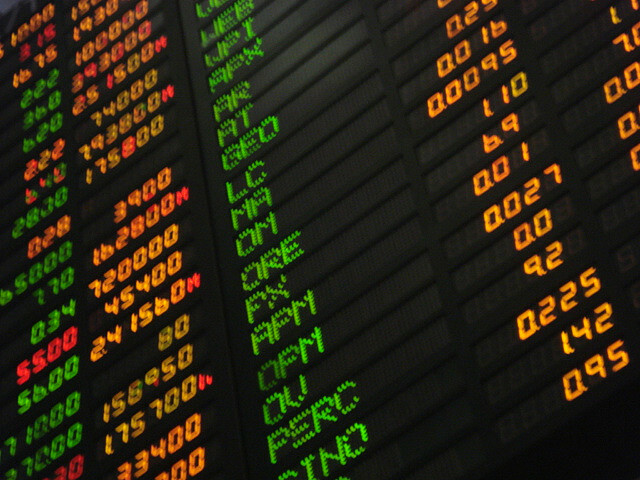 During the 2008 financial crisis, stocks were trading at extremely attractive valuations. Many blue chip companies had a PE ratio of less than 10. PE ratio is the number of years needed for investors to get back their initial investment assuming all things remain constant. We can use Price to Earnings Growth ratio (PEG) to determine if a company is undervalued or at fair value. This is mostly useful only for small companies. The formula for PEG is PE Ratio divided by compound annual growth rate. At the end of the calculation, if PEG is 1x, it means the stock is trading at fair value. If PEG is 0.5x, it is undervalued and we can say this stock has a margin of safety of 50% (less than 1 is undervalued). If PEG is 2x, it is a sell signal. Take note again that PEG is useful only for small growth companies. Next, we can use the discounted earnings model or discounted cashflow model to calculate the intrinsic value. This is suitable for blue chips or mature companies. There is a free intrinsic value calculator which you can download from a fellow blogger's site here. There are instructions for you to follow there. If intrinsic value is $1 and stock price is trading at $0.50, this stock is said to be undervalued with a margin of safety of 50%. However, do note that blue chips companies normally trade at a fair price rather than a bargain price. For companies which relies on its assets to generate income, such as REITS and property counters, we can look at it net asset value or price to book ratio to determine if the company is trading at a discount or otherwise. If a stock price is at $2 and its net asset value is at $4, then the company is deemed to be trading at a discount of 50%. This seems like a good buy at first glance. However, it is always not that simple as companies would include assets, such as development properties, as part of their assets. We should exclude the development properties and assume they are not sold. 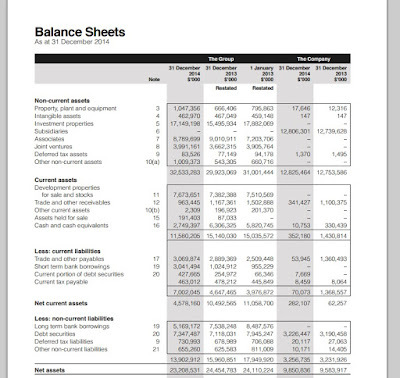 A company's assets will be further broken down under the notes to financial statement. 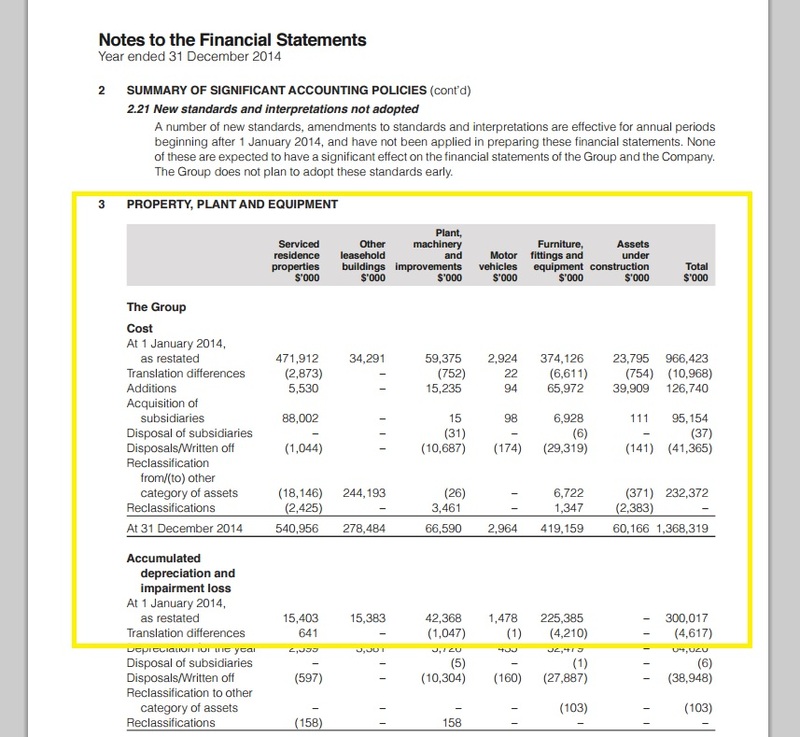 The break down of Capitaland's property plant and equipment can be seen under the notes to financial statement. 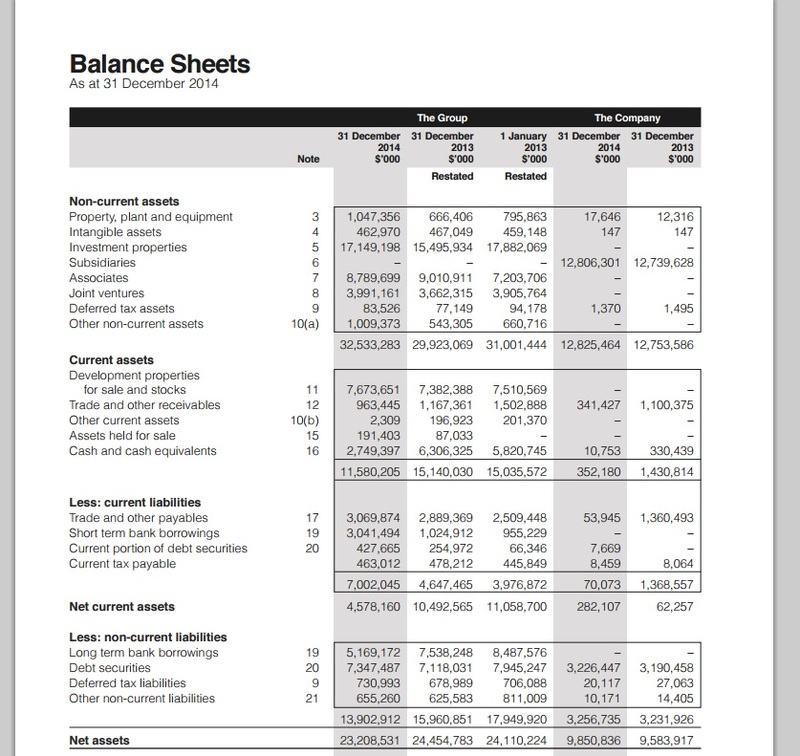 To analyse companies at a deeper level, it is essential to refer to the notes at the back of an annual report. When investing for income, we like to see good dividends which translates into high yields on our investment. Imagine if the yield is 10%, every $10,000 invested will give you $1000. It is really tempting to go for high yields. However, as investors who invest for income, even though high yields seems attractive, we should not jump straight into in. Jumping straight into a high yield stock is like jumping into an ocean without knowing if its water is shark infested. It all seem good from the outside but if we look deeper, there may be dangers lurking ahead. A company which pay out high dividends have to get the money from somewhere. It can be paid from its income or it can be paid from its existing cash. There are a few questions we need to ask ourselves when investing into stocks for passive income. Where does the company pay its dividends from? Are the dividends sustainable? Will the company continue to grow? What's the trend of its past dividend payouts? Is it increasing or decreasing year by year? Since we're investing for income, we want that income to be sustainable and even better if its increasing yearly. Look at the company's business structure for clues on where they derive its income. If income is not stable, most likely the high dividends are not sustainable as well. This is especially so for REITS where their income is derived from rental collected. Sometimes, companies can take on a huge amount of debt in order to expand the company and drive up profits. It is crucial to understand any risks which might come from taking on too much debt and keep track of how a company is performing by reviewing its financial results as and when available. A business with a strong competitive advantage can use debt to its advantage while a business which is cyclical in nature may succumb itself to danger when situation turns bad for them. Also, companies may have a high dividend payout ratio to attract investors when they just started out but this dividend may not be sustainable. A lower dividend payout ratio is generally preferred as these companies can still raise its dividends even if its profits drop later. On the other hand, a company which has a high dividend payout ratio will suffer cut in its dividends when profits drop. However, this will not apply for REITS which have to payout 90% of its net income after tax to shareholders. I hope the 2 part series on dividend investing has given you some insights on how it is possible to generate passive income through it and also the strategies in selecting dividend stocks. Market has been volatile recently. Dividend investing is still a better choice as we shareholders get dividends even during a bear market. Nevertheless, do invest safely in the right stocks! Last week on Saturday, I presented a topic on accumulating wealth for your future to a small group of people at an event organised by a group of young working adults who have the heart to reach out to young people to increase financial literacy. 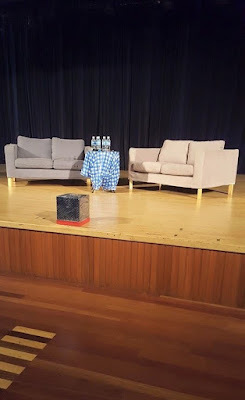 There were 3 speakers and each of us presented for 30 minutes followed by a forum where the audience could ask us questions. Even though I've been writing on financial stuff for the past 2 years, giving a talk on finance is still my first time experience. 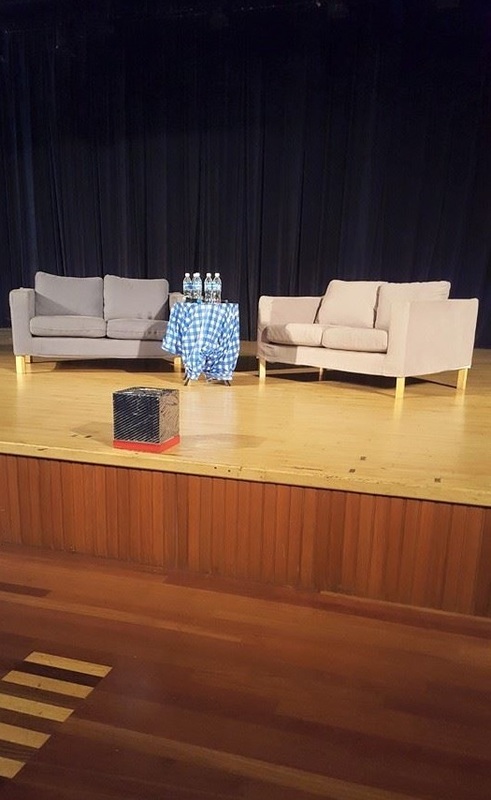 I would never have thought that one day I would stand up on stage to inspire people on the importance of financial planning. The main gist of my speech is to change our mindset towards money. I said that if we can get money out of our lives, we would be able to pursue the more important things in life. Many people are just too burdened by money problems where they cannot pursue their real life purpose. I shared a video which showed that kids will always smile when asked what they want to do for their future while adults feel stress when they think about their future. Kids would say their dream is to help others while adults will aim for money, status and material possessions. Have money also must have time, have money also must have health, have money also must be happy. These were the thoughts I implanted to the audience last week. If we pursue money and end up sacrificing too much of our time, our health and our happiness for it, then it doesn't make sense at all. So what's the strategy to have both money and time? The answer: "financial independence or freedom". The way to gain financial independence or freedom is through creating passive income. When we can live on our passive income, we are said to have achieved financial independence. Even when we are not at the financial independence stage yet, having passive income still allows us to have a little more freedom in life. It helps to lessen our burden in life. I shared on my journey in creating passive income and how it is possible to do it. Lastly, I shared on 3 simple ways to create passive income. I've actually wrote quite a few articles on passive income on my blog before so its really nothing new for readers who've been following my blog. Passive income can come from different sources. I shared 5 of the more common sources where passive income can come from. They are: "properties, stocks, bonds, intellectual property and business".